I love flea markets, and back before I knew any better, I’d buy anything and everything I could there. 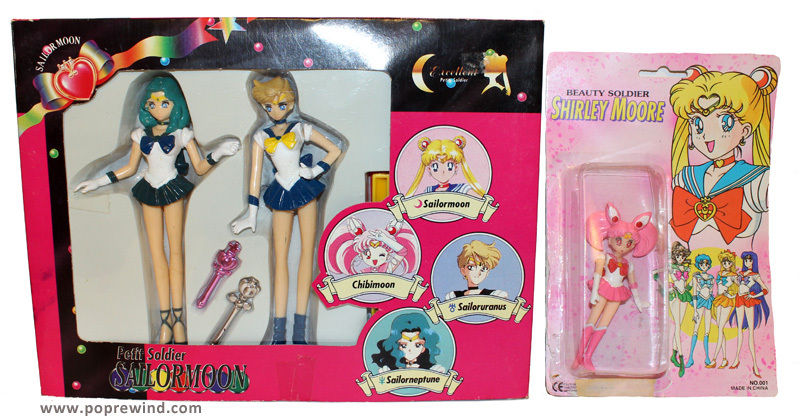 In the beginning of my Sailormoon fanaticism, I was in a flea market in a small town a few hours from where I lived. 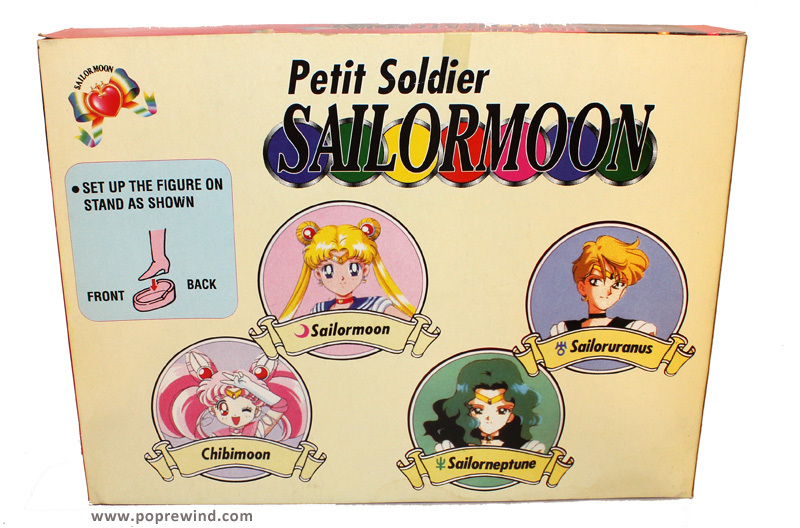 I didn’t have any Sailormoon merchandise at all—this was around 1995-1996. 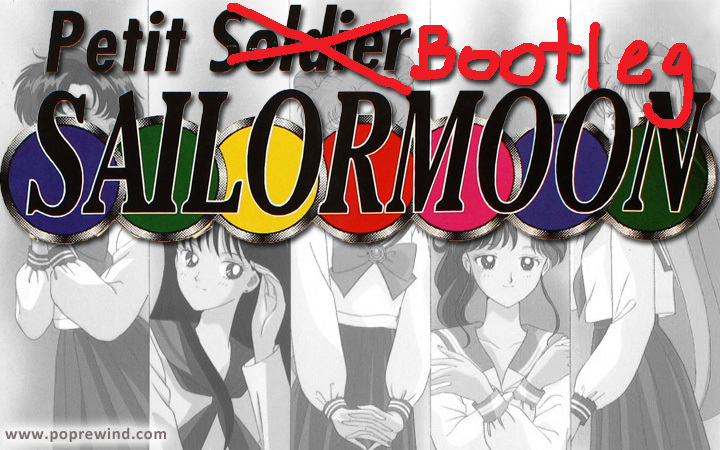 Imagine my eyes when I saw two figures, Sailors that hadn’t appeared in the North American version of the anime quite yet, but that I had read about on the Internet, in the days where you paid by the hour and had to get a second phone line in order to use Netscape Gold 3.0.1 at all. I was in heaven. Fast forward a few years when I discovered that this was indeed bootleg merchandise. Bootleg Sailormoon merchandise at a flea market? Oh… all those other flea market purchases were starting to make sense… either way, it’s still a neat set. The second figure was picked up a couple years later at a Dollar Store of some sort in Canada. I can’t decide if I’m insulted at the blatant rip-off with the terrible name of “Beauty Soldier Shirley Moore” or if I applaud their attempt at creativity. What kind of bootleg merchandise do you have? Leave us a comment! We’d love to know! Wow. I think I knew Shirley Moore back in high school?